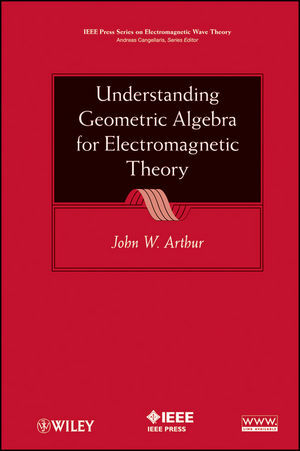 This book aims to disseminate geometric algebra as a straightforward mathematical tool set for working with and understanding classical electromagnetic theory. It's target readership is anyone who has some knowledge of electromagnetic theory, predominantly ordinary scientists and engineers who use it in the course of their work, or postgraduate students and senior undergraduates who are seeking to broaden their knowledge and increase their understanding of the subject. It is assumed that the reader is not a mathematical specialist and is neither familiar with geometric algebra or its application to electromagnetic theory. The modern approach, geometric algebra, is the mathematical tool set we should all have started out with and once the reader has a grasp of the subject, he or she cannot fail to realize that traditional vector analysis is really awkward and even misleading by comparison. JOHN W. ARTHUR earned his PhD from Edinburgh University in 1974 for research into light scattering in crystals. He has been involved in academic research, the microelectronics industry, and corporate R&D. Dr. Arthur has published various research papers in acclaimed journals, including IEEE Antennas and Propagation Magazine. His 2008 paper entitled "The Fundamentals of Electromagnetic Theory Revisited" received the 2010 IEEE Donald G. Fink Prize for Best Tutorial Paper. A senior member of the IEEE, Dr. Arthur was elected a fellow of the Royal Society of Edinburgh and of the United Kingdom's Royal Academy of Engineering in 2002. He is currently an honorary fellow in the School of Engineering at the University of Edinburgh.